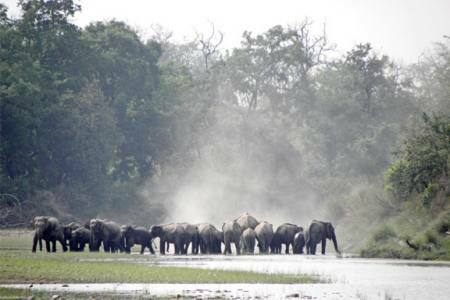 Chitwan National Park formerly is the first national park in Nepal. It was established in 1973 A.D and granted the status of a World Heritage Site in 1984. It covers an area of 932 km2 (360 sq mi) and is located in the subtropical Inner Terai lowlands of south-central Nepal in the districts of Nawalparasi, Parsa, Chitwan and Makwanpur. In altitude it ranges from about 100 m (330 ft) in the river valleys to 815 m (2,674 ft) in the Churia Hills. In the north and west of the protected area the Narayani-Rapti river system forms a natural boundary to human settlements. 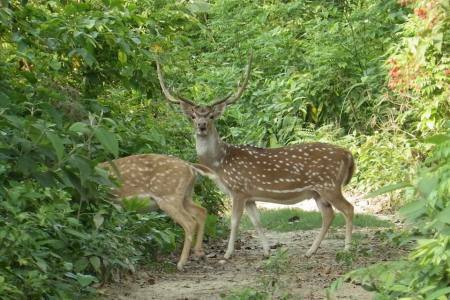 Adjacent to the east of Chitwan National Park is Parsa Wildlife Reserve. Tours in Nepal offers the natural splendor of Himalayas along the cultural glimpse of local inhabitants that would certainly immerse you in the ocean of delight. And Kathmandu Chitwan is exactly a different tour that offers heritage sightseeing, jungle safari along with the different cultural diversity. 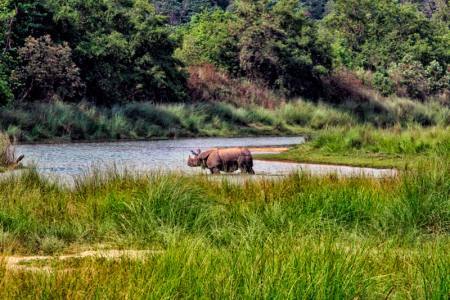 Visit to the three main side of Chitwan which is the perfect combination of cultural sightseeing, wilderness activity and natural sightseeing respectively. Day 0001 Night / 02 Days Package:-Day 01: Arrival in Chitwan, transfer to hotel, reception, welcome drinks, lunch, elephant back safari, evening walk, dinner and Tharu cultural show. Overnight at hotel. 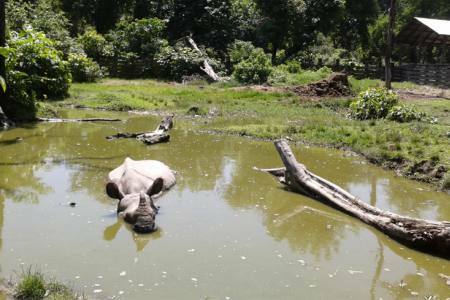 Day 02: Wake up call, elephant ride, jungle walk, visit bird watching tour, breakfast and departure onward your journey. 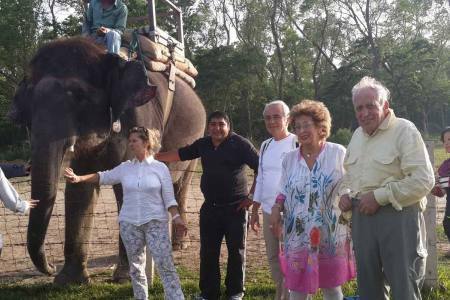 Day 0002 Nights / 03 Days Package:-Day 01: Arrival in Chitwan, transfer to hotel, reception, welcome drinks, lunch, Tharu village visit, Museum, sun set tour and dinner. Overnight at hotel. Day 02: Wake up call, breakfast, canoeing, jungle walk, visit Elephant breeding center, lunch, elephant back safari or jungle drive, evening walk, dinner and Tharu cultural show. Overnight at hotel. Day 03: Wake up call, visit bird watching tour, breakfast and departure onward your journey. Day 0003 Nights / 04 Days Package:-Day 01: Arrival in Chitwan, transfer to hotel, reception, welcome drinks, lunch, Tharu village visit, museum, sun set tour and dinner. Overnight at hotel. Day 02: Wake up call, breakfast, canoeing, jungle walk, lunch, jungle drive, evening tour, dinner, Tharu cultural show. Overnight at hotel. Day 03: Wake up call, breakfast, visit elephant breeding center, lunch, elephant back safari, evening walk and dinner. Overnight at hotel. Day 04: Wake up call, visit bird watching tour, breakfast and departure onward your journey. Day 0004 Nights / 05 Days Package:-Day 01: Arrival in Chitwan, transfer to hotel, reception, welcome drinks, lunch, Tharu village tour, Museum, sun set tour and dinner. Overnight at hotel. Day 03: Wake up call, breakfast, visit with our expert nature guide to lake, bird watching, lunch, jungle walk, evening tour and dinner. Overnight at hotel. Day 04: Wake up call, breakfast, visit elephant breeding center, lunch, elephant back safari, evening walk and dinner. Overnight at hotel. Day 05: Wake up call, visit bird watching tour, breakfast and departure onward your journey. 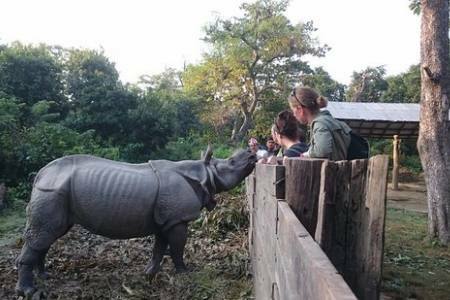 Day 0005 Nights / 06 Days Package:-Day 01: Arrival in Chitwan, transfer to hotel, reception, welcome drinks, lunch, Tharu village visit, Museum, sun set tour and dinner. Overnight at hotel. Day 02: Wake up call, breakfast, canoeing, jungle walk, lunch, again Jungle walk, pony trek to Churiya hill, inside the park and dinner. Overnight at hotel. Day 03: Wake up call, Visit elephant breeding center, lunch, jungle drive, evening tour, dinner, Tharu cultural show. Overnight at hotel. Day 04: Wake up call, breakfast, visit with our expert nature guide to lake, bird watching, lunch, jungle walk, evening tour and dinner. Overnight at hotel. Day 05: Wake up call, breakfast, canoeing, visit buffer zone jungle site, lunch, elephant back safari, evening walk and dinner. Overnight at hotel. Day 06: Wake up call, visit bird watching tour, breakfast and departure onward your journey.